The Chief People Officer for NHS England, Stephen Moir, has been awarded with an Honorary Degree at the University’s graduation ceremony today. Stephen has the huge challenge of overseeing human resources, organisation development, wellbeing, diversity and internal communications within NHS England. This body sets the priorities and direction of the NHS and encourages and informs the national debate to improve health and care. NHS England wants everyone to have greater control of their health and their wellbeing, and to be supported to live longer, healthier lives by high quality health and care services that are compassionate, inclusive and constantly-improving. Stephen has contributed to research, public policy development and shaping the human resources profession for a number of years. “I entered public service to make a difference for communities and people, not for personal recognition. I am therefore deeply humbled by and grateful to receive this award from Middlesex University,” says Stephen. 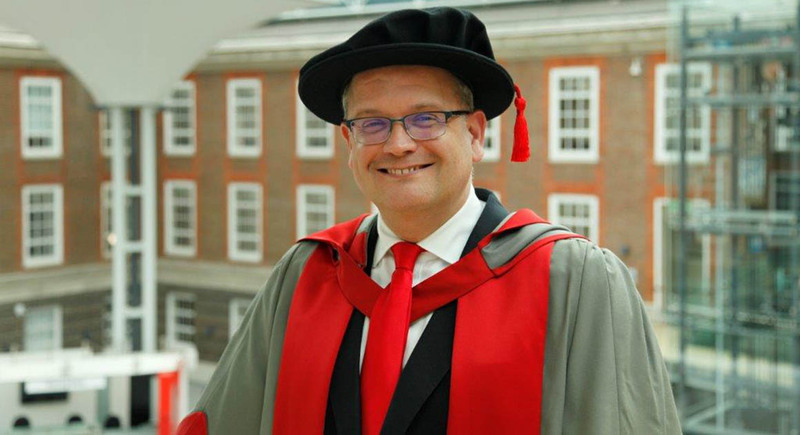 “It is a real privilege for Middlesex University to be able to recognise expertise, public duty and creativity by offering outstanding individuals one of our Honorary Degrees," adds Vice-Chancellor, Professor Tim Blackman.